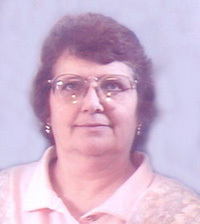 Carolyn J. Bauman-Wayne, nee Burns, 55, of Summerfield, died Tuesday, June 22, 2004 at her residence. Carolyn was a wonderful wife, mother, grandmother, daughter, and sister. She always had an ear to listen and give advice. If she was needed, she was there. Carolyn will be missed by all who knew her. She was a wonderful person. Grandma you opened your heart to me, so let’s see what I turned out to be. Cause Grandma you were the best to me. You cared for us when we were sick, picked Us up when we were down. You made us feel special. I’ll always be your sunshine And your little buddy. We love you Grandma.